RESIDENCY VISA FOR PROPERTY INVESTORS!!! In May, 2013 Spanish Government announced plans to offer Residency Visas to Real Estate Investors from Non-EU countries. Proposed investment minimum is 500,000€. Spain is following “Golden” Visa model offered in other EU countries such as Cyprus, Portugal and Ireland. Spain is one of twenty-two EU member states within the Schengen area common visa policy allowing freedom of movement within the European Union. The legislation is expected to be passed in July, 2013. Investors from Russia, China, India and other qualifying countries will be able to obtain residency in Spain through buying a property for 500,000€. It is unclear at this point, if investor family members will be beneficiaries of proposed residency visa nor if it will grant work permit in Spain, but it expected to be an mutually attractive tool for Non-EU investors and the country in need of acceleration in Real Estate Market Recovery. 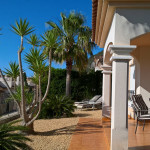 Browse now - Resident Visa Qualifying Villas for Sale in Costa Blanca!